No one ever said they were a fan of a losing streak. In sports, there is only one thing worse than a losing streak, and that is a losing streak to begin a season. You as a team have not built up a buffer, and will be working all season to make it back over the .500 mark. A season will go much more smoothly if the team starts out on the right foot. 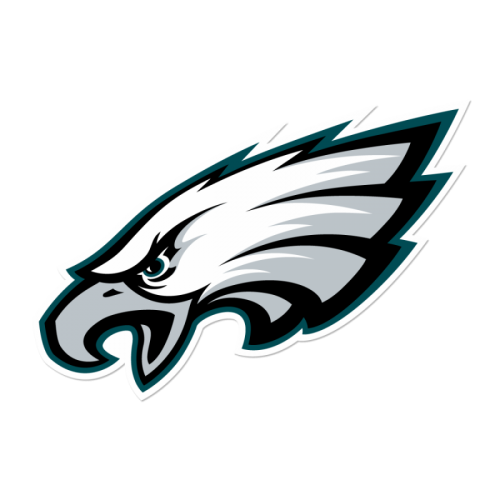 However, the first step to stopping the streak is to obviously get the first win of the season. Interim Head Baseball Coach Matt McCarty picked up his first career win this past Sunday, as the Shepherd Rams defeated Davis & Elkins by a score of 7-2. Shepherd took advantage of a good day at the dish, as they amassed eleven base hits. Junior outfielder Michael Lott paced the Rams, as he had a three-for-four day at the plate and knocked in three runs. Chad Murphy, Ryan Messina and Brandon Coffey also had big days for the Rams, as they all recorded two-for-three at the dish. Murphy also scored two runs, while Messina touched home once. Coffey recorded two RBI and scored once himself as well. Davis Hall had a great day on the rubber for Shepherd, as he tossed seven innings of four-hit baseball. Hall allowed zero runs on just four base hits. Kyle Crist took the loss for Davis & Elkins. 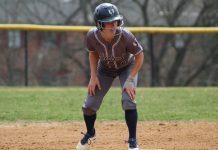 Shepherd’s mid-week double-header with West Virginia Wesleyan was postponed due to weather. No make- ups have been announced. Saturday was the first time this season that the Shepherd Rams have gotten to play a game at the friendly confines of Fairfax Field. However, the first game of the double-header looked all too familiar. In the first game of the twin-billing, Jeff Heisey went two-for-four with five runs batted in to lead Millersville. His grand slam keyed a nine-run rally in the fifth as the Marauders pulled away from the Rams. 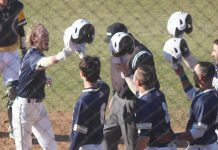 Shepherd’s lone run came in the first when junior outfielder Michael Lott was hit-by-pitch and later scored on a sacrifice fly of the bat of Murphy. Tim Mayza picked up the win for Millersville, while junior pitcher Paul Hvozdovic took the loss for the Rams. The second game of the day proved much better for Shepherd. Shepherd took a 1-0 lead in the in the first inning of the nightcap as junior outfielder Kyle Porter tripled and scored on a double off the bat of senior catcher Chad Murphy. The Rams added five runs in the sixth behind an RBI-single by Murphy and a grand slam from junior designated hitter Ryan Messina. Senior pitcher Josh McCauley picked up the win for Shepherd, as he went six and two-thirds innings, giving up eight hits, four base-on-balls, one earned run and fanning ten batters. Freshman reliever Ryan Pansch ended the game on the rubber for the Rams. 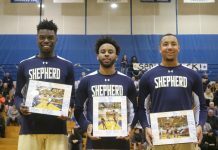 Shepherd improves to 2-6 overall, much better than being 0-5 like they were before this week. Shepherd travels to Millersville on Sunday for another doubleheader against the Marauders. Also coming up on the schedule are three games against Lock Haven, all in Shepherdstown.